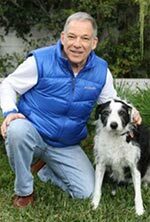 California dog bite expert witness Richard Polsky provides legal services to dog bite attorneys involved in civil litigation in California and nationwide. 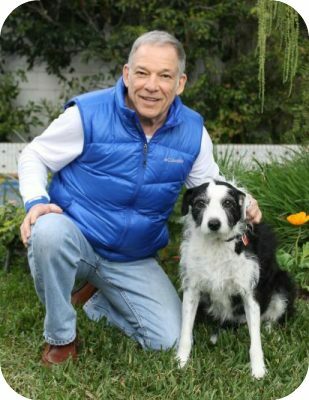 In addition, he also provide services as an animal behavior expert in the criminal prosecution or defense of owners of dogs which severely injured or killed a person – for example, the well-known San Francisco dog mauling. Examples of the dog bite cases in which Dr. Polsky has been retained by attorneys as an expert witness are listed below. This is a representative but not exhaustive listing. The first example is about assumption of risk. The incident happened when the plaintiff, a 60-year-old lady, was house- sitting for the defendant who owned an 13-year-old poodle. According to ￼the plaintiff, several days after she had started her job, she was attacked by the dog when she reached down to pick up one of the dog’s toys. The bite injuries became infected, and she required extensive medical treatment. According to the plaintiff, the incident happened when she reached down to get one of the dog’s toys. Discovery revealed that this this dog had shown aggressive tendencies in certain situations previously, such around such as around its food, its toys and occasionally was protective around various other kinds of objects. Prior to the start of the plaintiff’s house sitting duties, according to the defense, she was made well aware of the dog’s aggressive nature in particular situations, and defense contended that she also must have known about the dog’s tendencies for aggression because she cared for this dog on previous occasions. The defense contended that the plaintiff’s version of how the incident happened was suspect. Dr. Polsky was retained by the defense to reconstruct how the incident probably happened. One interesting aspect about animal behavior that came into play in this case, were the circumstances in which dogs guard coveted objects. Defense acknowledged that the California dog bite statue applied in this case, but mitigating circumstances needed to be considered, such as assumption of risk, given that the plaintiff accepted the job knowing that the dog could be aggressive around its toys, and that she was warned about this tendency, but failed to heed the warning, and that she may have actually provoked the attack. Dr. Polsky gave deposition testimony in this case, and shortly thereafter the case settled. In the next example, California dog bite expert witness Dr. Polsky was retained by the prosecution in a case that involved fatal mauling of a 7 year-old boy by two Rottweiler-type dogs. The defendant in this case was an ex-police officer who the maintain these two dogs, along with another Rottweiler dog, on his property in the town of Red Bluff, a rural ￼community in Northern California. The incident happened when the victim entered the backyard of the property adjacent to the defendants. A chain-link fence separated the defendant’s yard from the yard where the boy had entered. The Rottweilers were loose in the defendant’s yard. It was established that the defendant’s chain link fence was in need of a repair and this allowed the dog to slip under the fence and attack the victim. This attack was eventually stopped by the victim’s father who came running from across the street after hearing a commotion. The prosecuting attorney in this case, Gregg Cohen, had been involved in other dog mauling cases. He is best known for the impetus in formulating California’s Cody’s Law. Cody’s Law makes it a felony to own a dog with vicious propensities that a severely injures or kills a person. Dr. Polsky testified at trial. The defendant was found guilty. In this example, Dr. Polsky was retained by the defense in an incident which involved the fatal mauling of a disabled man walking to a Seven-Eleven store at about 4 a.m. in a rural section of South Carolina. He was attacked and killed by a pack of dogs, and prosecution argued that two of these dogs in the pack belong to the defendant. Both were pit bull type dogs. The incident happened about a quarter-mile from the defendant’s home. The defendant says his dogs were in his house at the time of the incident. Behavioral issues in this case centered on the temperament of the defendant’s dogs and the likelihood they were involved in the attack. Dr. Polsky testified at trail. The defendant was acquitted of manslaughter charges. Again, this is another example where Dr. Polsky was retained by the defense in a criminal manner. The incident involved the fatal mauling of a 1 y.o. child by a reproductively intact male Rottweiler. The fact pattern as follows: The child was left unattended in the front yard of its home, directly across from where the defendant maintained the Rottweiler on a chain attached to her trailer. The chain was long enough to allow the Rottweiler proximity to the street. The incident happened when the child wondered from its yard into the street, thereby coming within reach of the Rottweiler. The owners, who were neighbors residing directly across the street in a trailer. Prosecution pressed charges on the belief that the owners had full awareness of the dangerous nature of their Rottweiler. The defendants acknowledged that the dog would growl at unfamiliar people but they had no reason to believe the dog would go beyond these warning displays. Prosecution further believed that the owners acted in a manner to abet this dog’s aggressive nature. Discovery in this case revealed that at the time of the incident the mother was doing laundry and the father was sleeping. The mother placed her child in the front yard to play with the belief that the gate to her fenced front yard was closed. Several weeks prior to trial a plea-bargain was reached. Manslaughter charges were dropped in favor of misdemeanor charges and probation for the defendants. No testimony in this case was given by Dr. Polsky. Dr. Polsky was retained by the prosecution in this fatal dog attack case. it involved the fatal dog mauling of a 10 y.o. girl by six Rottweilers. The incident happened when the owner of the dog went on an errand leaving her daughter and victim – the daughter’s friend who came to visit – alone with the dogs. Dr. Polsky reviewed evidence pertaining to behavioral variables which may have provided the defendants with sufficient knowledge to know that their dogs were dangerous by nature. Dr. Polsky did not render testimony in this matter. The case was resolved prior to trial. This well-publicized case in Chicago involved the fatal attack by a pack of feral pit bull type dogs on a female jogger in Dan Ryan Park in January 2003. Dr. Polsky was retained by the plaintiff in civil action against the city of Chicago to opine about the danger feral dogs present to the public in a park setting. Plaintiff brought action against the city for their negligence in not dealing with the dangerous conditions that existed within the park due to the presence of packs of feral dogs. This case settled and Dr. Polsky was not called upon to testify. In this matter, California dog bite expert witness Dr. Polsky was retained by the defense. This case involved an adult male Jack Russel terrier brought to a San Diego area Petco for grooming. While being bathed Jimmy inflictied serious facial bites to the Petco groomer. The fact pattern was as follows: Jimmy had been to the Petco store on previous occasions for grooming. The groomer filed suit against the dog owners under California law which calls for strict liability against the owners of a dog if their dog bites a human. The dog owners brought a complaint against Petco for the negligent manner in which they managed, trained, and provided instruction with regard to the safety for this groomer. A central issue in this case for Dr. Polsky focused on dog behavior in a grooming saloon of a Petco store. Petco discouraged the use of muzzles because using them would project an unfavorable image to their customers. Litigation did not proceed to the point where Dr. Polsky’s testimony was needed. Plaintiff’s counsel settled the case after it was learned that the dog – on the day before the incident – acted aggressively to the plaintiff and this was documented in Petco records. Child abuse or dog attack in Florida involving a Dutch Shepherd? Dr. Polsky was retained by the prosecution in a case involving felony charges of aggravated child abuse against a Gainesville police officer. The case involved a two-month-old infant with broken ribs, a lacerated liver and ruptures to internal organs. Despite the fact that there were an absence of puncture wounds on the child and an absence of a significant amount of external bleeding, the officer claimed that the dog was responsib California dog biteg in question was a seven-year-old male, castrated Dutch Shepherd. The defendant stated that prior to the incident the dog had gotten on well with the infant in the two months the dog and the child cohabited together, and there was an absence of any previous incidences of aggression toward anyone by this dog. A team of medical examiners concluded that the internal injuries were the result of the child being squeezed by his father, and not a dog attack. Behaviorally the defense arguments were that the seat the child was in, which rocked slightly and made a vibration noise, possibly triggered the attack, or that the dog simply was engaging in rough play with the child. Dr. Polsky testified at trial about the validity of these explanations and about other factors usually found associated with severe dog attacks. Note, incident happened in early afternoon within a few hours after the police officer had returned from working a night shift, and at the time of the incident he was sleeping. The prosecution argued that the officer acting out of frustration, tried to physically quiet a crying child, and the infant’s injuries were inflicted in this matter. The jury acquitted the officer of the charges. Read further description of this case. Dr. Polsky was retained by the plaintiff to render testimony about the domestication of the Wolf hybrid. The incident in question happened when the plaintiff came to the front gate of the neighbor’s yard containing the Wolf hybrid, and was attacked as she attempted to enter the property. She was given permission by the person restraining the Wolf hybrid to enter the property. From the plaintiff’s perspective, this case hinged on whether the Wolf hybrid was a domesticated animal, as opposed to the issue of foreseeability of the attack. Dr. Polsky testified at trial, and the Judge’s ruling, favorable to the plaintiff, can be viewed here. Additional examples of the legal experience of California dog bite expert witness Dr. Polsky’s can be found on pages throughout this website. Selected cases include: Plaintiff attacked on a bicycle by Weimaraner in California; Attack by pit bull on commercial property in California; Civil rights case involving a police dog in San Diego; Knock-down in a dog park in New Jersey; No provocation when man bites dog in Arizona; Reconstruction of a dog bite case in Arizona; Questionable account of dog bite attack by two golden retrievers; California police canine attack that may have killed 89-year-old man. Dr. Polsky will consider assignments from attorneys throughout the USA and Canada. He favors expert witness assignments from attorneys in California, Arizona, Nevada, Texas and other Western states. Attorneys are invited to contact Dr. Polsky by telephone, email or through the attorney contact form.